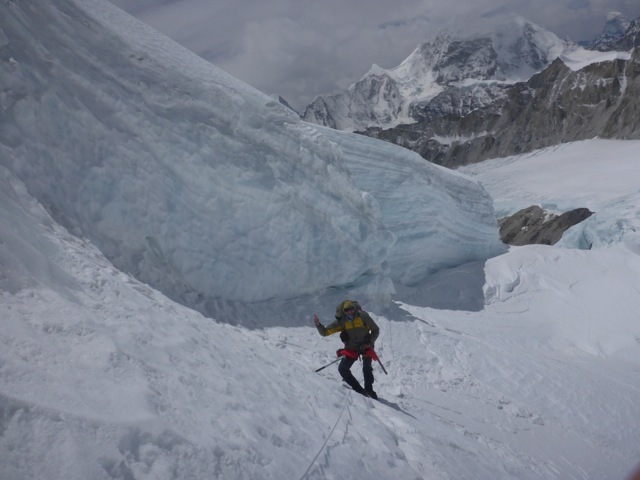 A small update to say that I am fine, 11th day at ABC but winds are promising to abate around 16th May – which could be a possible summit window. Life at ABC is fine, the weather is kind to us and we are sitting in the sun, playing the Bavarian card game Schafkopfen, talking to other teams and eating ‘heaps’. I am feeling fine and healthy, however, even though I had soooo wanted to go to the summit without the help of supplemental oxygen, I realised on my way to the Makalu La that I am just not strong enough to tackle this big mountain without it. So choosing between not going to the summit and getting the chance to see the world from the top of the 5th highest mountain, I am biting the bullet and take the help of artificial oxygen. If anyone is interested in the latest Himex news, I have also just updated the Himex newsletter, which you can find on www.himex.com. Thinking of you Billi! Yowser! you’ve been there a long time. Hope you make it to the top!